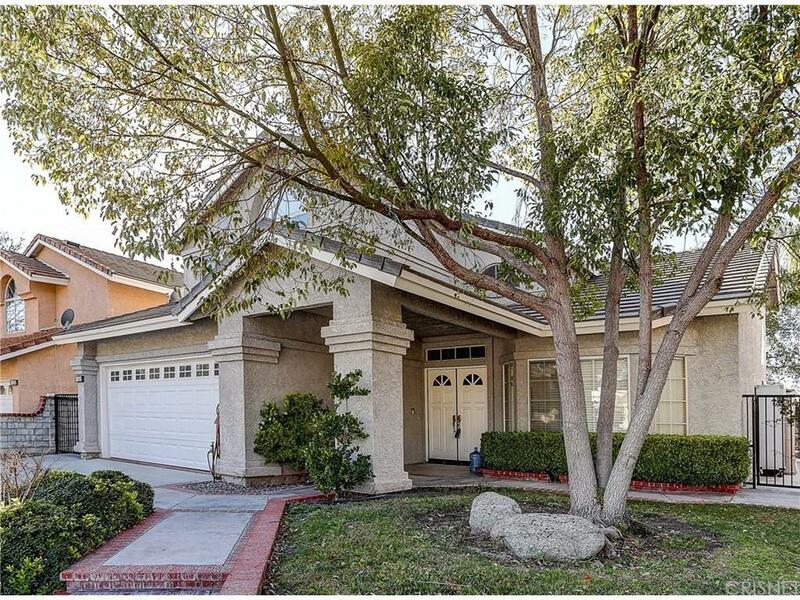 This very well maintained home is on a small cul de sac with only 8 homes! Light and bright with skylight windows. Immaculate inside with newer carpet and paint. Tile flooring in entry and kitchen. Nicely updated large kitchen with stainless appliances, double oven, center and eat-in area. Full bedroom and 3/4 bath downstairs. Fireplace in family room. Separate dining room living room combo. 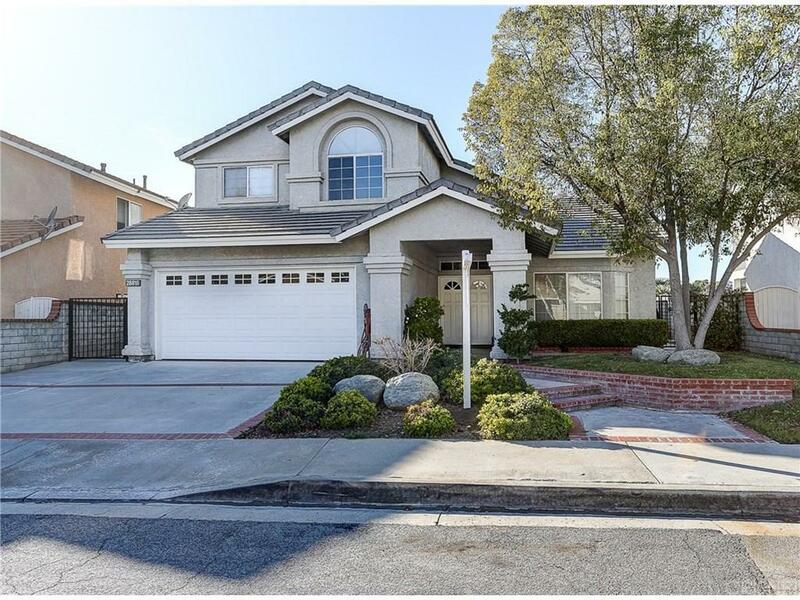 Upstairs features 3 good size bedrooms and master has a huge walk-in closet. Master bath with dual sinks and large shower tub combo. Upstairs hall bathroom has dual sinks. 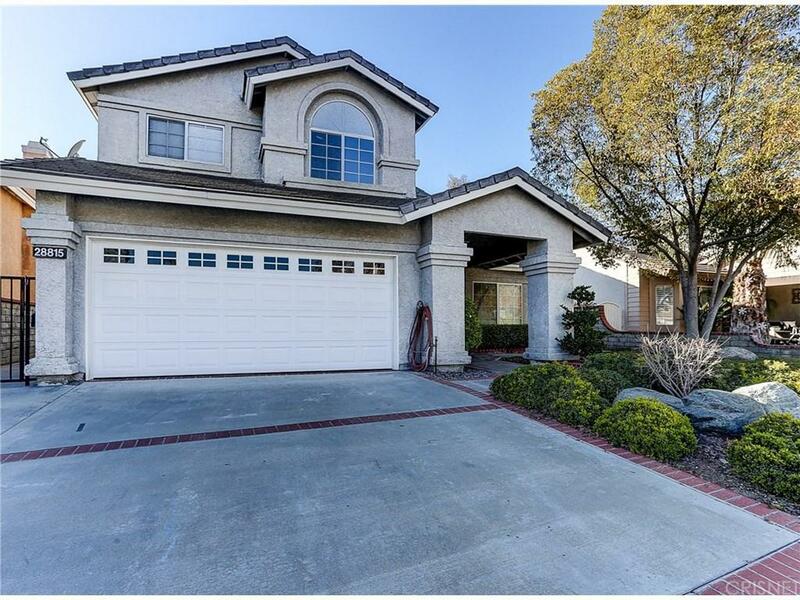 The garage is immaculate with built-in cabinets and passage to the large side yard. Pool and spa in the backyard with a view of the hills.